Training 3. Wave-shaped load increase. What exactly is the indoor rowing machine? It is a sports device of cardiovascular machines class. It is based on a rigid metal frame, to which is attached a hinged seat, a footrest and movable handles connected by a cable to the base. The equipment allows you to simulate rowing. Even better than the stationary bike. 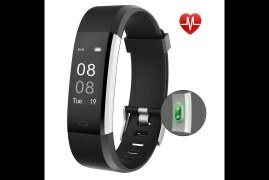 Modern models have a built-in computer that offers to choose a program for classes and monitor the distance traveled, calories burned, pulse. A rowing machine is a more affordable alternative to its fellows. It is unique in that it allows you to combine power loads with cardio. Exercises involve in work 85% of the whole body muscles. Not only strengthening them, but also providing them with stretching. The bulk of the load goes to the back muscles, shoulder girdle, abdomen, buttocks, and legs. At the same time, unlike any other cardiovascular device, the joints are subjected to minimal stress, which reduces the risk of injury. To select suitable equipment, you first need to pay attention to its parameters. Both magnetic and hydraulic simulators are suitable for home use. Prices range from 9,000 to 80,000 rubles. Exercising at home gym, it is better to pay attention to the folding model; it will save free space because the length of the simulators is from 120 to 220 cm. It is also important to choose a simulator for the maximum load that it can withstand. 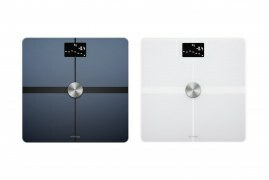 Some models can withstand no more than 100 kg, while the weight of the user, in any case, should not exceed this figure. Try the machine in action. Do you buy online? Just find the same model in a large supermarket. This is not a niggle, some people who are actively working on the simulator just “go” with him around the room. It is very inconvenient. In fairness, this is a problem for people with height above 180 cm. Make sure that there is a mat under the simulator. Ask for a professional build and set yourself a reminder about the maintenance of the simulator. Usually, a belt drive needs to care every 12 weeks. Here are the most useful benefits of using this kind of equipment. It is worth reading before making a choice. 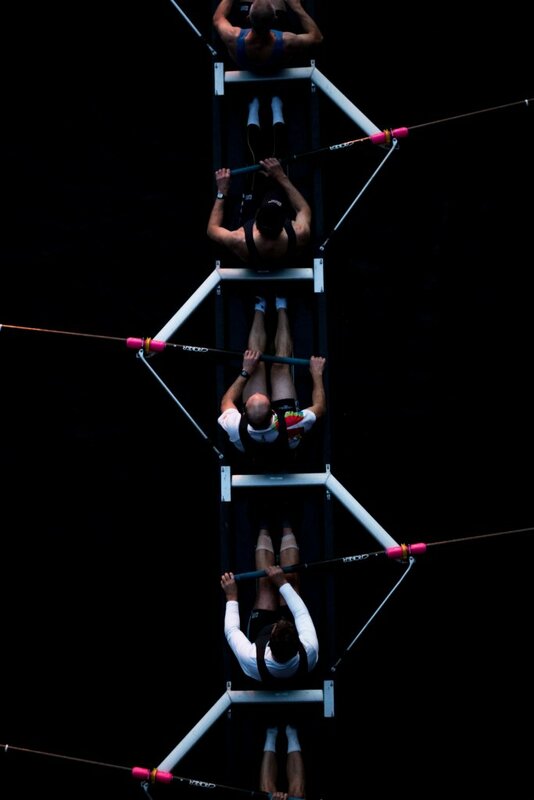 In rowing, the negative load on the joints is minimized. Since the rower is in a sitting position, the legs are resting on the support. The hands are holding the handle, a very small load is placed on the ankle, knees, hip joint, elbows, and shoulders. Movement in rowing is the opposite of our daily workload, when we sit at the computer, type, or drive. This allows you to use rowing as a “medicine” from the negative impact of the modern lifestyle. Each rowing stroke rate requires a leg press, flexion/extension of the hip joint, the attention of the shoulder blades (opening the chest). We “pass” through a series of movements, increasing the mobility of the lower back, knee and shoulder joints. But rowing is great not only to prevent injuries. But it is also for those who have already encountered similar problems. For people who are overweight or for those who have joint problems, rowing can be an option. For runners, rowing is an excellent tool for aerobic training. This, nevertheless, much less “wears out” the problem joints for runners: knees, ankles, back. Moreover, if you already have problems with your knees (including surgery) or your back, rowing will help you recover. Therefore, it is used in rehabilitation. Whether you thought about it or not, everyone could be engaged in jogging, cycling, swimming in varying degrees, without going to the gym. As for real rowing, users can experience its benefits only in the gym or by buying this kind of sports machine. Buying a rowing machine can be an ideal solution. Especially for those who are running, cycling in the summer, and looking for a cardio workout trainer for the winter. Since rowing involves the whole body, you will see the result earlier. You can challenge yourself by increasing resistance. You can turn on your favorite show or music during class. And the movement itself is not so tedious. You need less time. Physical activity stimulates pleasure centers in the brain. Cardiovascular exercise increases the number of endorphins, which reduces stress levels and even depression. A full body workout saves you time. You do not need to train your upper or lower body separately, try to burn calories or give aerobic exercise. No matter how strange it may sound. A person cannot just run and run. More precisely, it can run, but to run correctly is no longer. Running need to learn. And it takes a long time. Similarly, you should learn to play tennis, new dance moves, etc. Rowing does not require such an effort. The right movement can be learned in one lesson. Practicing the rowing simulator is unlikely to appeal to those who love a variety of activities. For a whole hour, only those who are ready to endure monotonous loads can sit on such a device. Since the simulator is aimed mainly at the study of the muscles of the upper torso, with long-term use it can disrupt the proportions of the body. But this is easily avoided. It is only necessary to include in the strength training program exercises that promote building muscles of the legs and buttocks. Here is the impacy workout for beginners using a rowing machine. We divided it into phases for your convenience. In this phase, the position of yourself goes into a seizure. All body muscles should be relaxed. Hands remain almost straight. Bend your knees, then fully straighten your arms. During rowing workouts in this phase, the main point is body position. Do you start the exercise in the wrong position? The muscles will not get the proper tension. Arms should be straight. Shoulders should not be flush with hips. The position of the body is regarded as correct if the main centre of gravity falls on the legs. Having convinced that shoulders and arms are straightened, it is necessary to firmly fix the feet. Having completed the third part of the stroke, the body needs to lean back a little. The position of the legs remains unchanged as in the previous phase. Qualitatively executed pushes to make it possible to work at an optimal pace. Do not forget about the recovery phase! Bending your elbows, pull your arms to the lower ribs. The work includes the lateral, brachial, deltoid muscles and biceps. In the phase of acceleration and movement, maximum power is achieved. Starting with the legs (quadriceps and gluteus). Put your lower back in operation, as well as your arms and shoulders (brachialis, biceps, rear deltoid, lateral, trapezium, rhomboid muscles). The moment the knees are completely straight, the final phase begins. The oars should be at the level of the lower ribs. The muscles of the body – tense. The head, neck, and shoulders should be relaxed; the elbows should be fixed behind, the wrists should not be strained. The legs are upright, legs as tight as possible. This position is like a squat position. Hands grip the handle, triceps tense. The body is slightly tilted forward. The back muscles are relaxed, the press is tense. That technique is carried out with the help of the repulsive movement of the legs with simultaneous tension of your shoulder girdle. The second one is the biceps. It entails the handle towards the abdomen. The spinal muscles are open. The chest is pushed forward. The legs are straightened. It is due to the movement of the thigh muscles. The hips with the buttocks are strained, the abdominal muscles act as a stabilizer of the body position. Due to the biceps, the handle is tightened as close as possible to the waist. The chest is carried forward, the amplitude of movement becomes even larger. Any training begins with a warm-up. Start – breathing exercises. Then – the study of all muscle groups and ligaments. Ranging from exercises for the neck, ending with the ankle joint. The intensity of movement increases gradually. By the end of the warm-up, the heart rate should be approximately 120 beats/min. The duration of classes depends on the purpose and physical fitness. For those who are just starting, 10-15 minutes is enough. Those who have good physical training can engage in 40-60 minutes. 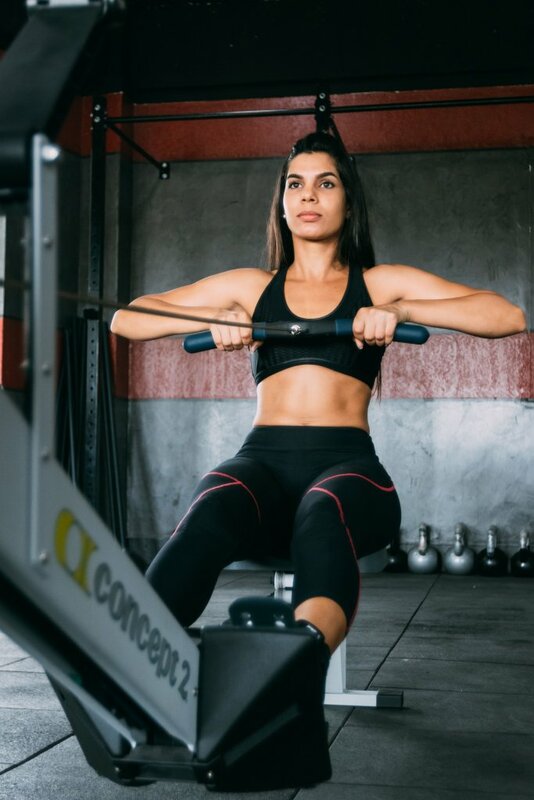 For weight, loss exercises can be performed without interruptions with such intensity as to maintain a constant pace, with the correct technique of rowing. Training can be interval – alternating load and rest. This allows you to increase the intensity or duration of classes. For example, 10-15 minutes – load; 2-4 min. – rest, the number of approaches – 2-3. Either 6-8 minutes – load, 3-5 minutes – rest, the number of approaches – 3-5. If you want to lose weight in the hips, you need to add additional exercises in this area. Grab and bend your knees. Straighten and stretch in front of you, relax your shoulders and bend over. Gradually lean back, straightening your legs at the same time. Watch your hands. Do not strain them. The load should go on the muscles of the legs, back, and chest. Leave your legs straight. The body laid back – this is what the exit position looks like. Retract your shoulders and bend your arms, watch the oars, they should follow the level of the abdominal muscles. Smoothly, without jerks return to the starting position. Do the first 4 points continuously. You should do it for 5-10 minutes at a slow pace to get used to the technique. Do not start the exercises at an accelerated pace, until you are confident how to do this right. Otherwise, you can hurt yourself in the first minutes of training. The movement should be performed during the entire workout. Sometimes, for those who find such work too monotonous, you can try one non-standard “additional” complex. The rowing machine is equipped with a movable seat; the first exercises are associated with this property. Roll back the seat to the edge of the simulator, squat next to it, put your hands on the floor, and the toes of the legs on the movable part. Be sure to firmly rest on the floor. As with a bar, in the initial position, the knees are under the body. Roll your legs away from you, straightening them. And then you should return to your body, bending. Stand on your feet, turn your face to the moving part and rest your arms on it. The body is tilted parallel to the floor. Roll back the seat from yourself, straightening the body, with proper performance. The same muscles are involved as during push-ups. Stand next to the movable seat, put one of the legs on its surface. Roll it away from yourself by 30-50 cm, while bending the other leg, and straighten the one that stands on the moving part. Exercise from the side looks like squatting on one leg with the second raised by 30-45 °. Turn your back to the moving part, put one of the legs on it. Sit on the second leg, rolling the first back, then return to the starting position. Lie on your back, facing the seat. Put both legs on it, raise the pelvis up to 45-60 °, roll back the legs, and you do not need to lower the body. The best model for training – Concept 2. It provides a full range of movements and the possibility of a full workout with any indicators of height, weight, length of arms and legs. However, “Concepts” are expensive. So it’s worthwhile to take a closer look at home-made simulators made on their principle. Choose a belt-driven machine with a moving “high chair” and stable pedals. Simulators with two “oars” do not allow to actively engage the leg muscles in work, which is critical for women. After all, we have the largest muscle group – just the flexors and extensors of the thigh and gluteus. Choosing this design, you simply increase the consumption of calories. Fat deposits in the human body are stored in the form of a substance triglyceride, which is stored in cells. Our body uses triglyceride for the construction of hormones, as well as cell membranes, and, most importantly for us in this topic, for energy supply. That is, to get rid of fat, you need to constantly expend energy stored in our body. In other words, you need to move more, physically load yourself and eat less. It is important to know that at the beginning of the workout our body uses the small reserves of carbohydrates that exist in our body, and only then begins to take energy from fat cells. Therefore, training on the simulator “rowing” for weight loss should belong – at least 30 minutes. The best for burning weight is considered interval training. Rowing simulator for weight loss can be used as a quality training before the power load, or carry out a separate full-fledged training. First, there is a warm-up at a quiet pace, which should last no longer than 300 seconds. In the next stage, you should slightly increase the resistance. Try to row for 15 seconds with maximum speed. After that, during the following 45 seconds, you need to move smoothly to restore breathing. Perform five repetitions, and then increase resistance. With a new load, you need to row hard for 30 seconds and recover a minute. Do five repetitions. At the end of the workout, there is a hitch that lasts 5 minutes. Forget outdated theories! Fat burning pulse can be exceeded if you are healthy and exercise more than 3-4 months in a row. High-intensity blasting sprints will help you burn more calories and speed up your metabolism. Smoother recovery workouts – stick to the plan even when you are a little tired. It develops the cardiovascular of your body system. Set the minimum resistance of the simulator. You should row for 5 minutes at a smooth. Keep quiet pace to warm up. Then you must set the average resistance. Start working, about 35-45 strokes per minute, not trying to accelerate. Spend in this mode during the next 15-20 minutes, then – a five-minute “hitch.” Such training can be carried out after power, as it takes only half an hour of your time. Unfold in a slow pace. Do it for 4-5 minutes. Then slightly increase the load. Row as fast as possible for 15-20 seconds. You should actively push apart with legs. The movement should resemble simultaneous squatting with the handle of the simulator and not a separate push with the legs. In general, we give energy to the stroke, not with the help of a handle, with our hands, but through the work of the lower limbs. 45 seconds “go” more smoothly, trying to restore breathing. We perform 5 such repetitions. After that, increase the load of the rowing machine and the time of the sprint. Now we accelerate within 25-35 seconds. Try to recover within 1 minute. Repeat 5 cycles. Next – a five-minute hitch. You must choose the resistance of the simulator so that by the end of the workout you will feel the fatigue of the muscles. Warm up and hitch. As usual, it takes 4-5 minutes. In the main part, we choose a slow comfortable pace. Breathing almost does not lag, but every minute we increase the resistance of the simulator by one division. As soon as we reached the maximum, we begin to drop load every minute. We carry out this “wave-like” work for 20 minutes. Over time, you can increase the duration by another 10 minutes. For those who deal not such a lot with the rowing simulator, you may add a bit of variety to exercises. A set of special sets will increase the load. Such increasing helps to pump all muscle groups. To enhance the effect, you should do the following. It is necessary to fix the movable seat on the simulator in such an extreme position. You should put his toes on it, and lean on the floor with all your body including hands. Knees bent. Start straightening your knees, pushing the seat as far as you can from yourself. This exercise is reminiscent of the bar, helps develop abdominal muscles, back, buttocks, thighs. Stand at the edge of the simulator, bend over, lean your palms on the seat. Roll it away from you. Keep your back level and your legs straight. According to the resistant exercise is similar to the usual push-ups. The next task is performed from the same position, but now you need to put one foot on the seat. Start pushing it away from you, gradually straightening it out. The other leg, which is the support leg, bends at the knee. Workouts trainer supervises the training of athletes. The trainer carries out workouts aimed at the training and improvement of the body quality, gaining muscle mass, losing weight and so on. He has the knowledge, certificates, experience, awards and aims to practice it on other people.